Coal burning power plants create large quantities of ash from the raw material that they burn. Bottom ash is composed of heavy particles that drop out of the flue gas and settle to the bottom of the boiler. Water filled basins collect the ash, where it can be pumped out for collection and further processing. This ash is very abrasive because of its small particle size, physical hardness and the sharp edges of particles. Valves used to convey bottom ash must be able to withstand the abrasive nature of the ash, stand up to the various chemical compounds that may be present from FGD materials and be reliable enough to operate at the same long service intervals as the boiler itself. Metal valves such as ball or plug valves are quickly eroded by the ash, causing them to leak at the seats, seals and packing glands. The solution is usually an attempt to harden the valve with expensive metal alloys or ceramics. The ash particles can also buildup in small the small crevices found in these valves, hindering valve operation. 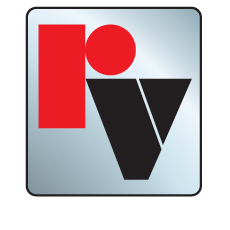 Red Valve Pinch Valves are an excellent solution to these problems because they are designed specifically to handle abrasive slurries like bottom ash. The heart of the pinch valve is an elastomer pinch valve sleeve that is flexible, yet highly rugged. 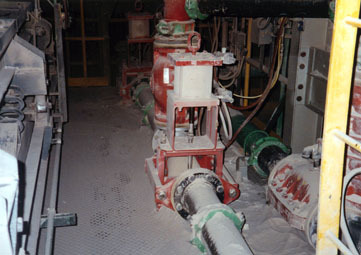 The sleeeve is the only wetted part of the valve. The resilient elastomer technology of the sleeve absorbs the impact of ash particles and outlasts metal for years.